Weeks after Government announced that it has selected a preferred supplier of drugs for its hospitals, there are now more calls for the decision to be overturned and a fresh selection held. “Any new proposal developed should result in the creation of a level playing field so as to enjoy the full confidence of all stakeholders and to allay fears of bias. Transparency, fairness, equity and competitiveness should be the watchwords. Every effort should also be made to avoid the outcome of any prequalification exercise resulting in a monopoly situation,” says former Auditor General, Anand Goolsarran. Writing in a weekly column, recently, Goolsarran made it clear that there is strong evidence to suggest that the revised evaluation criteria for the prequalification for the supply of drugs and medical supplies were biased in favour of a particular local company. That company is none other than the New Guyana Pharmaceutical Corporation (New GPC), a company that has close links with the present administration and former President Bharrat Jagdeo. 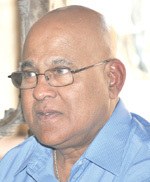 Its principal, Dr. Ranjisinghi ‘Bobby’ Ramroop, is Jagdeo’s close friend. The supply of pharmaceuticals to the Georgetown Public Hospital Corporation (GPHC) and to the Ministry of Health, has been a major chunk of spending for Government and has been growing over the years. This year, the allocations are well in excess of $5B (US$25M) with New GPC set to take the lion’s share. Other bidders, including Ansa McAL Trading, have protested the stringent conditions set to select a pre-qualified company. They said it was virtually impossible for any company other than New GPC to be selected, because the conditions were designed to deliberately shut them out. “Manufacturers and distributors who were not prequalified, therefore, have every reason to feel aggrieved. The results of the prequalification exercise have also resulted in a virtual monopoly situation and stifle competition,” Goolsarran said in his column. 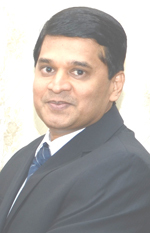 The accountant, who is also a prominent member of the Transparency Institute Guyana Inc. (TIGI), a powerful corruption watchdog body that has global linkages, noted that with some 70 per cent of the national budget being devoted to public procurement, the whole episode highlights the need for the activation of the Public Procurement Commission, comprising members who are technically and professionally competent to oversee Government’s procurement. In the circumstances, a significant lacuna exists in the present arrangements. “Once the Public Procurement Commission is activated, that lacuna will cease to exist,” Goolsarran said. 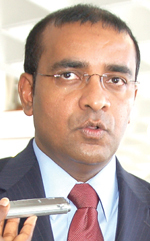 Under the Jagdeo administration, New GPC had become the main supplier, accounting for over 75 per cent of the Government’s requirements. It also virtually displaced the overseas specialized agencies – PAHO/WHO, UNICEF, UNFPA and IDA – which had provided 90 per cent of the Government’s requirements. Under the revised criteria for prequalification as was put in place last year when the previous arrangements expired, interested suppliers had to scramble to qualify on a points system with a maximum score of 200. Goolsarran argued that certain mandatory requirements were also included in the points system. He suggested that for future prequalification exercises, “these be separated out, and a two-stage evaluation carried out. Among other things, suppliers had to prove that they had 30,000 square feet of storage with temperature-controlled environment. With only New GPC fitting the bill, there had been arguments that the conditions were tailor made for that company. Goolsarran also pointed out that the requirements relating to financial capacity also appeared too stringent, as they would have placed small and medium sized suppliers as well as distributors in a position of disadvantage. In terms of previous experience, which carries a score of 40, or 20 per cent of the maximum score, the supplier was required to have more than seven years’ experience in supplying the Ministry without any adverse reports as well as a proven track record in handling contracts over $500 million. Goolsarran also pointed out that it is a fact that over the years, the Auditor General has commented adversely on the performance of the prequalified company without evidence of any action taken against it. Another major problem that the former Auditor General found was that there was a failure by the NPTAB to communicate, as required by law, to the unsuccessful applicants, the grounds in which they failed. One of the unsuccessful suppliers, Trinidad-owned Ansa McAl said that on July 25, last, it requested the Ministry of Health to review the decision. Ansa McAl even claimed that its storage facility had not been inspected. New GPC itself has been under investigation by Parliament after audits picked up a number of issues questioning actual deliveries and prices.